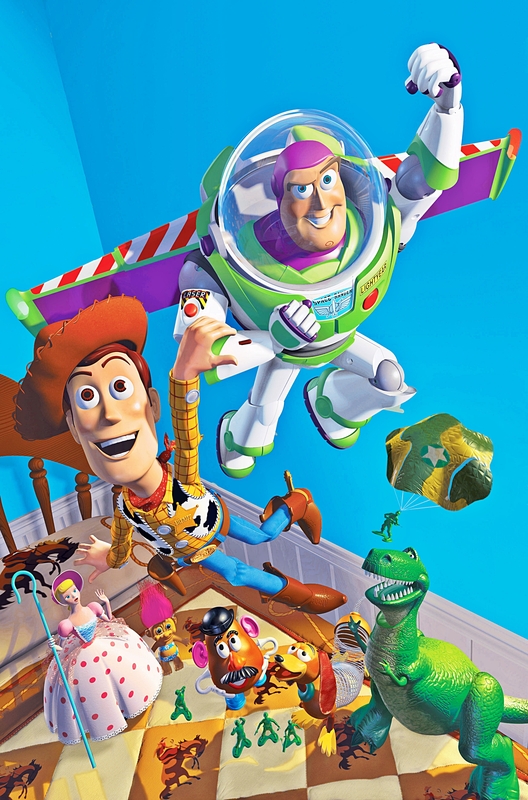 Disney•Pixar Posters - Toy Story. Disney•Pixar Poster of Sheriff Woody Pride, Ranger Buzz Lightyear, Rex, Slinky Dog, Mr. Potato Head, Bo Peep and Sarge and the Bucket O' Soldiers from "Toy Story" (1995). HD Wallpaper and background images in the personnages de Walt Disney club tagged: walt disney characters disney•pixar disney•pixar posters toy story sheriff woody pride ranger buzz lightyear rex slinky dog mr. potato head bo peep sarge and the bucket o' soldiers.